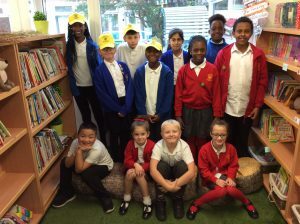 Welcome to our website, we hope you enjoy it and are able to gain a picture of what we do at St Clements. St Clements is continuing to work very hard to raise the standard of teaching, raise achievement and to develop leadership and management at all levels in school. I know that I speak for the Governors and staff when I say that we are proud of what we offer pupils and their families. We place a very high importance on pupils feeling happy and all of us showing respect towards one another. We also pride ourselves on knowing each child as an individual due to our nurturing and caring environment which is underpinned by our Christian values. We are proud to have strong links with our church which we visit at least every half term and enjoy weekly worship in school led by Reverend Paul and Reverend Tom. *83% enjoyed being at school. *92% of pupils agreed that this is a good school. *They also told us that they feel safe in lessons (87%) and at playtime (78%). *We have an involved governing body that knows our school well and challenges us to do even better by working with us on monitoring standards of teaching, pupil’s work and speaking to pupils about what is going well and what we can do even better. *Our staff have a wealth of experience and are a committed, hardworking staff team. *We have an exciting, creative curriculum that our parent/carers think is great due to how the trips and visitors into school bring learning to life. We place a high priority on communicating with parent/carers so that they are fully aware of how their child is doing in school, how they can get involved in school life and to work with us when issues may arise. We e-mail the weekly newsletter out to them and keep them in touch with what their child has achieved and what they are learning through the class dojo system. We recognise the importance of working with the whole family and as a result, parent/carers are welcome to come into school to participate in learning and social activities or receive support from our Family Support team on a range of issues.